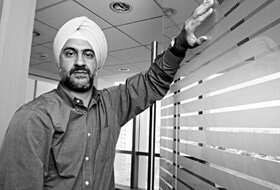 Eyeing growth: Helion Venture managing director Kanwaljit Singh. Mumbai: Mumbai-based e-learning and publishing services company Hurix Systems Pvt. Ltd has received second round funding of $5.1 million (Rs20.2 crore) from Bangalore-based venture capital firm Helion Venture Partners. This is Helion’s eleventh investment since it announced a $140 million India-focused fund in August 2006. Hurix offers services in three areas: e-learning solutions, knowledge management and publishing services. It currently works with clients chiefly in the US, the UK and the Asia Pacific region, but wants to expand its presence to mainland Europe and Australia. It is also looking to grow through acquisitions in the publishing space in these markets. Hurix, which has offices in Mumbai and Chennai, was started as an e-learning company in 2000 by two IIM-Ahmedabad alumni, Subrat Mohanty, who was working with Tata Interactive Systems, the e-learning division of Tata Industries Ltd and Viswamitra Hariharan, an investment banker with Bank of America who was focussing on technology companies. It later diversified into publishing services with clients such as the McGraw Hill and Prentice Hall School. The company also plans to increase headcount from 580 at present to 5,000 in the next five years. It has been doubling headcount every year since its inception.